This tutorial presents how Beebotte can be used to monitor temperature and humidity of your home or office. We will use a Raspberry Pi to report data to Beebotte and a DHT11 sensor to detect humidity and temperature. Before sensding data to Beebotte, we need to create a Channel. For this experiment, we need to create two resources for humidity and temperature. We use Beebotte Python SDK to send sensor data to the created channel. We need to specify the API access and secret keys of our account, and to indicate the names of the created channel and resources. Adafruit Python library to read data from DHT11 sensor (among others) can be downloaded as described here. In your account page, goto My Dashboards and click Create Dashboard; enter a friendly name and a short description of your dashboard then add 2 Attribute Widgets and 2 Timeline widgets. For every widget, indicate the channel and resource where data will be read from. Voilà. If you wish, you can set your dashboard as public. 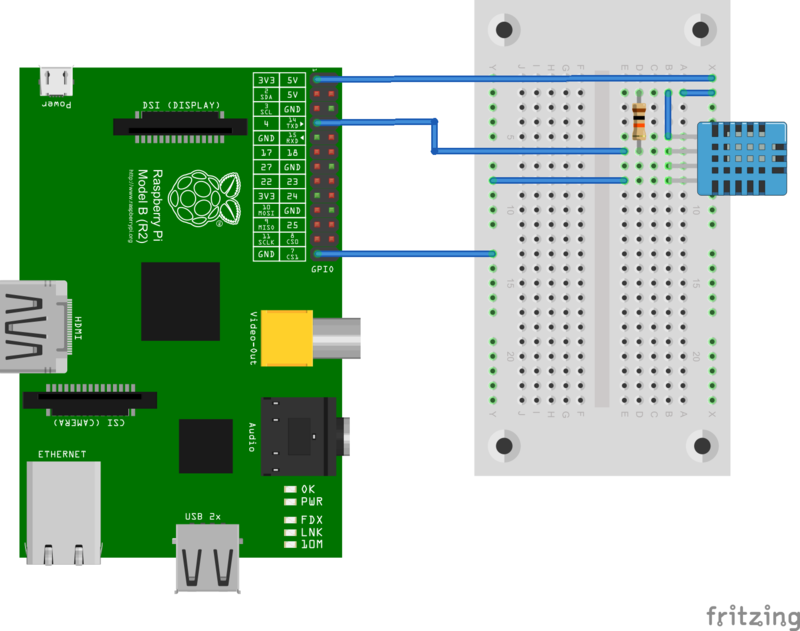 Adding more sensors by connecting them to the Raspberry's GPIO pins! Set your python code to run automatically at startup.